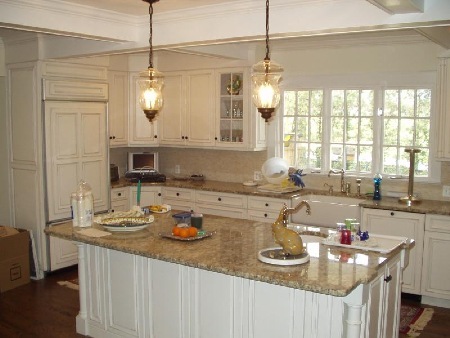 Painted white kitchen with honed granite counter tops. Painted white server cabinet with white marble counter. 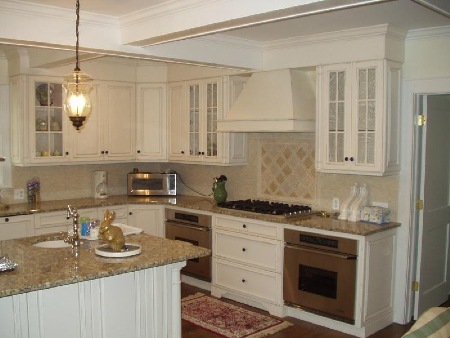 Painted white cabinets with coffered ceiling. 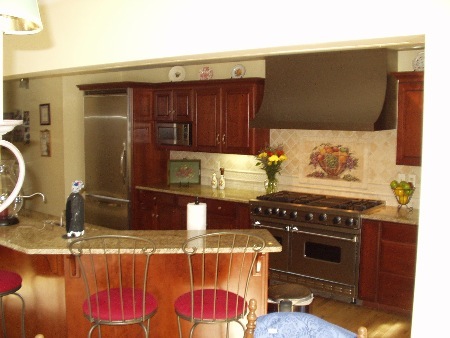 Painted white kitchen with paneled refridgerator and medium brown counter tops. Range hood built into cabinetry over range. 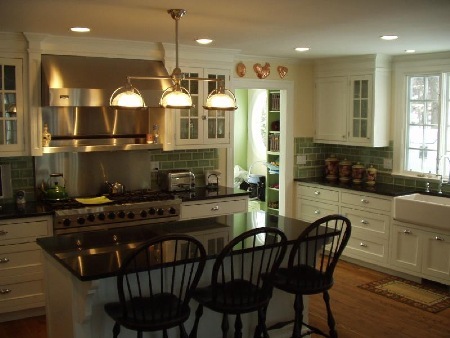 Painted white cabinets with black granite tops. Farm sink in back right of photo. 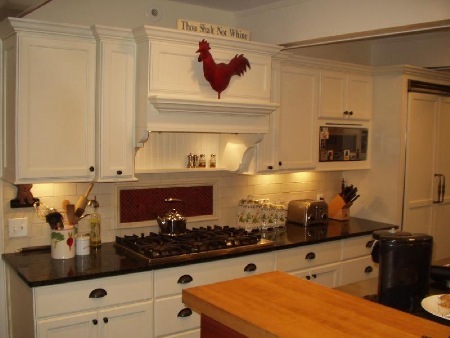 Inset painted white cabinet doors. Built in microwave in base cabinet. 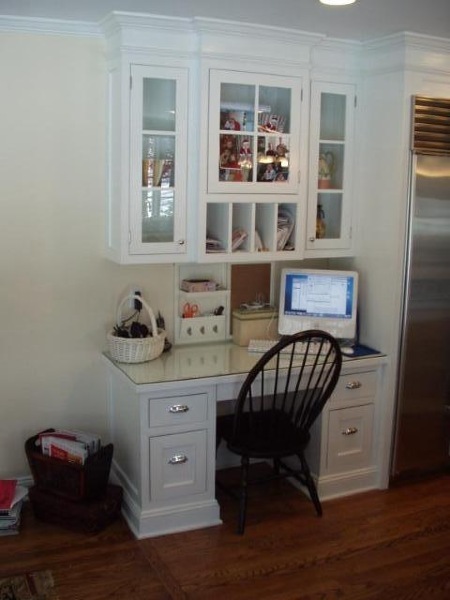 Custom built desk area for kitchen. Glass top protects writing surface. 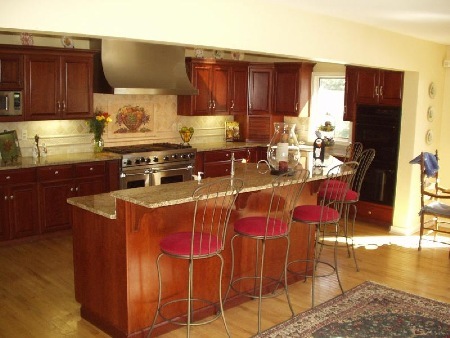 Stained cherry cabinetry with large stove and stainless hood. 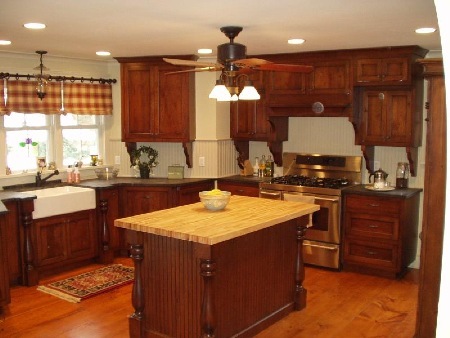 Custom rustic cherry cabinetry with bracket supports. 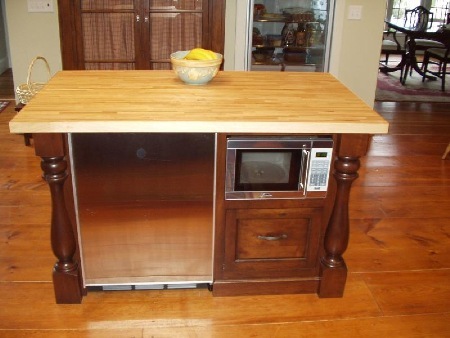 Back side of island with built in refrigerator and micro wave oven. 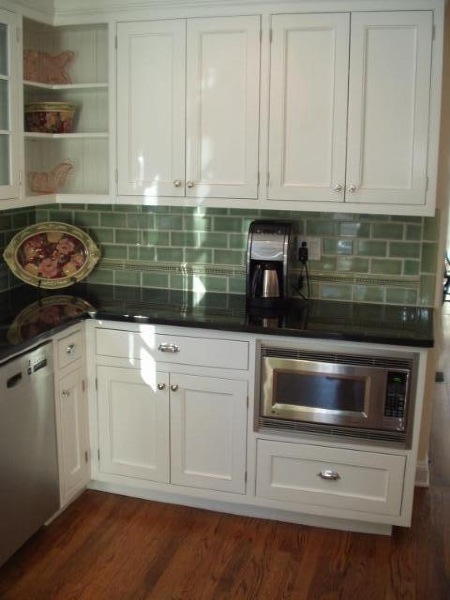 Natural maple cabinetry with green Cambria stone top. 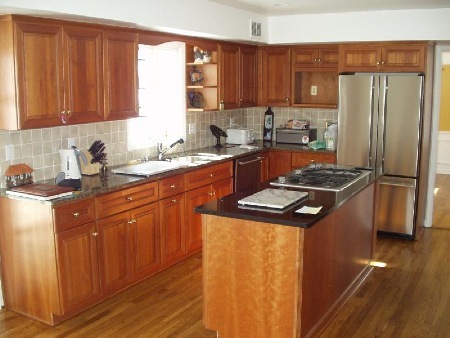 Natural maple cabinetry with glass door cabinets over snack counter.